Big news. The RideLondon people have changed the route for the 2014 running of the event. I wasn’t really expecting that – the 2013 version seemed to meet with almost universal approval. For an event this large, I assumed the organisers would want to get into a groove, locking down the route and avoiding changes that could lead to unexpected problems. Still, changed it they have, and you’re just going to have to deal with it. Thankfully I am here to help you through this traumatic time. Right. On with the analysis. I’ve been busy with my (digital) pencil. In today’s post I’ve eschewed my usual wordsmithery in favour of letting my artistic juices run wild. It’s a bit like an ‘infographic’ (hmm, Zeitgeist-y) but without too much in the way of info. 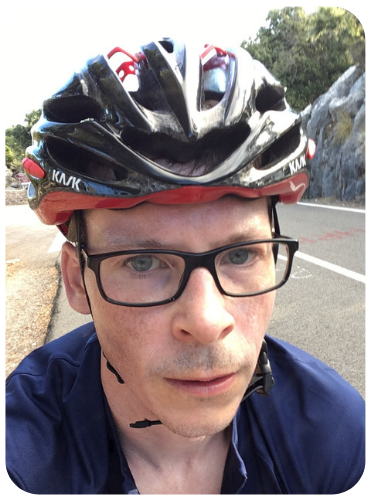 A spot of therapy for those that completed RideLondon last year; an insight into what’s to come for this year’s cohort. If you like it (or even if you don’t) I would love (LOVE IT!) if you could share ma petite peinture with as many people as possible. Just click some or all of the share buttons on this post. 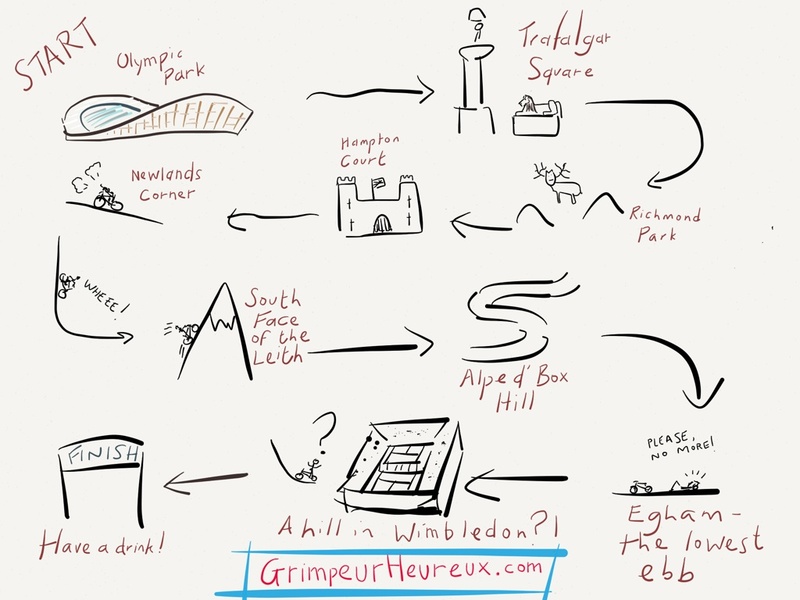 This post is going to discuss Box Hill, the doyenne of the south-east cycling ‘scene’. All the cool cats are climbing up it. You dig? 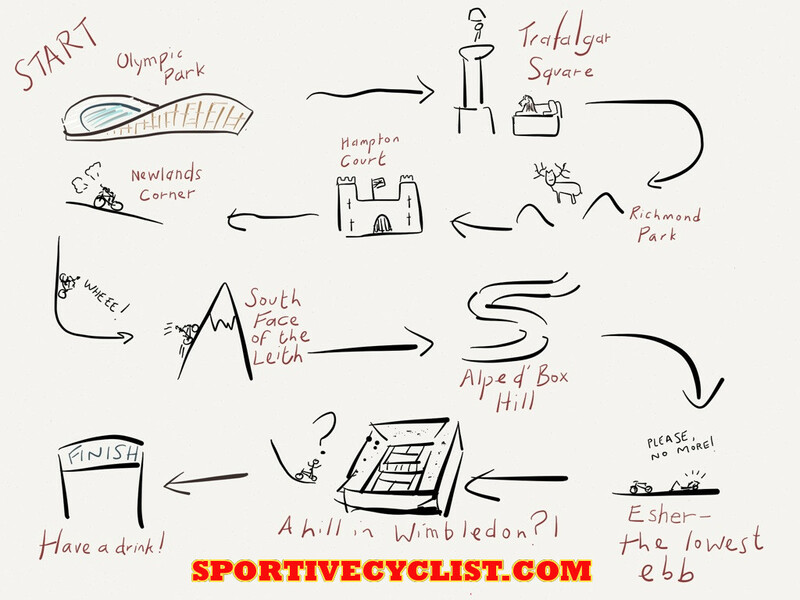 The format mimics that of a similar post that I wrote a couple of weeks ago about Box’s uncouth RideLondon cousin, Leith Hill. Both posts relate back to one of the most popular articles on the Sportive Cyclist site – my ‘analysis’ of the RideLondon route. I wanted to produce more detailed descriptions of Leith and Box, both for cyclists looking to tackle them on an informal weekend ride and for those riders that would ascend them in the intense athletic cauldron that is RideLondon. In a future episode I’ll maybe even have a butchers at the not-quite-a-hill-until-RideLondon-decided-it-was, Newlands Corner (I can tell you’re salivating already). In this post I’m going to look at Leith Hill as a cycling route. As well as discussing its ‘vital statistics’ (length, gradient, elevation), we’ll talk a little about how to get there and how it might fit into a longer ride in the area. Known to Surrey cyclists for years, Leith Hill entered the consciousness of the British public at large (well, those with a passing interest in cycling) as being a major feature of the inaugural 2013 RideLondon-Surrey 100 sportive and the associated professional race. 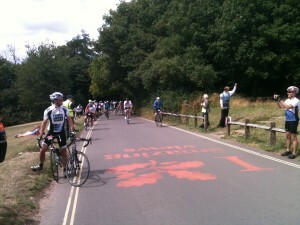 Many first-time RideLondon participants seem to have considerable trepidation about the Leith Hill climb. But are those fears justified? Let’s take a look. Is it that time already? It feels like only yesterday that I was doing RideLondon 2013. But now we have to think about RideLondon 2014. The ballot opens on Monday. Yes, next Monday. Crazy shizzle. To be honest, you’re likely to be someone who did this year’s event (and can make their own mind up on 2014) or you are sick to the back teeth of people going on about how great it was. Whatever. Here are my top eleven reasons why you should enter the ballot for a place in RideLondon 2014. Long-time (and even short-time) readers will know that RideLondon has been a major theme on this blog over the past few months. The inaugural running of the event took place on Sunday 4 August (two days ago as I write). I thought you might like to know how I got on. Well tough, I’m going to tell you anyway. The key to maximising your performance in Sunday’s RideLondon 100 is to get smashed the evening before. Not just a little drink to settle the nerves. The whole nine yards (100 miles?). In this post I’m going to espouse my considerable wisdom on how to make the final finishing touches to your pre-ride preparation. I’ve thought outside the box. I’ve searched for every incremental gain. I’ve consulted my psychologist. Dave Brailsford would be impressed. Follow my exclusive guide, and I guarantee you’ll see the effects on your race performance. Time is ticking down to the off of the inaugural RideLondon 100. Are you getting excited? The hard work is done (or should have been). Further fitness gains are unlikely; by now you should be well into your taper period (unless you’re one of those machines that sees a 100-mile pootle around south-east England as a ‘rest day’). So apart from relishing the opportunity to spend extra time on the sofa, what more can you be doing to help prepare for the weekend? 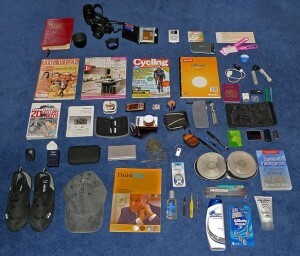 Answer: you could have a think about what you need to take with you. Welcome back to the third post in my series recording my training for the inaugural RideLondon 100, taking place on 4 August. That’s a disappointingly short 52 days away from now (as I write this, obviously). If you want to read posts 1 and 2 in this sorry series, they can be found ici and aquí. 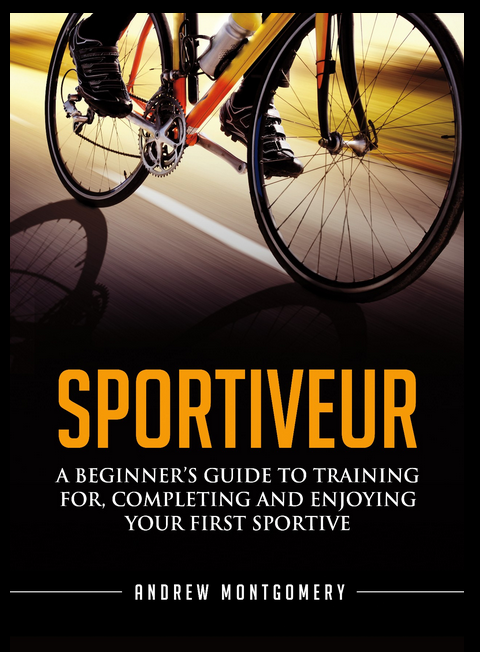 As you prepare for the 100 miles of RideLondon, you might be looking for other (shorter) sportives to help you on your way. Long time reader of this blog, Giles Roadnight has just emailed me to point out that The King of the Downs Sportive takes place this Sunday (2nd June). The sportive, organised by Evans, features two routes: the full one is 115 miles; the shorter option is 54 miles. I can’t find an official route map, but the longer route sounds pretty tough. If you’re thinking of doing this one, I doubt you have any concerns about RideLondon’s flatter, shorter course. It’s the shorter route that Giles points out is useful for RideLondon newbies, as a stepping stone to the longer event. Last year’s event took in both Box Hill and Leith Hill, and featured total ascent of around 3,450 feet (~900 feet less than RL). If you want to enter, you’ll need to get your skates on. Online entry closes later today (Wednesday); if you miss that, you can print out a form to enter on the day. Good luck to all those that decide to participate (or who have already entered), and thank you to Giles for giving me the heads up. I’m Monty. I write about road cycling. I’m a better writer than cyclist (see photo for evidence). My aim is to entertain and inspire you to spend more time on your bike. Subscribe To The MAMIL Channel! Hear about each post as soon as I publish. Get enjoyable and helpful cyclo-info straight to your inbox. Ride faster and further, and have more fun on your bike. Yo! My blog contains Affiliate Links. These are links to online stores, such as Amazon, Wiggle and Chain Reaction. If you click on an Affiliate Link and then buy something, I get a small commission. You pay the same price that you would have done anyway. If you click and buy something, you also get the benefit of being a supporter of ‘my work’. No spam. You'll get a newsletter from me each time I publish a new blog post. Sometimes I might just email to remind you I exist. Every so often I'll tell you about a cycling product that I think might help your cycling. Your information will *never* be shared or sold to a 3rd party.